On the 25th of January, Varvara Nikulina in the SustainTrans research team presented and defended her licentiate thesis “Need for speed: towards urban planning for rapid transitioning to sustainable personal mobility” at Blekinge Institute of Technology. 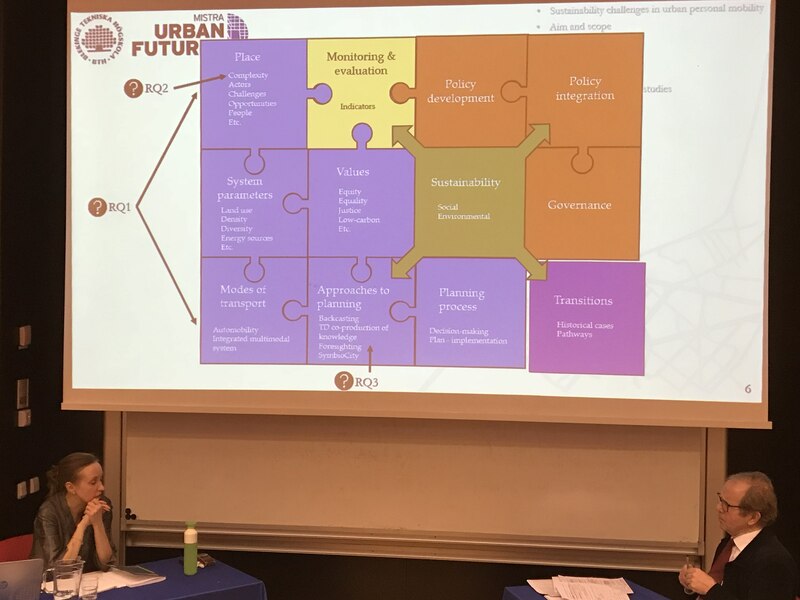 The overall conclusion is that there is a need for research that would show how mobility actors can contribute to resolve pressing issues related to climate change fast enough without compromising other aspects of sustainability, including how temporary trade-offs can be addressed in a strategic way. Varvara and the reviewer Ulf Ranhagen discussing the mapping of the results. Photo by Sven Borén. Varvara’s studies are within the research topic Strategic Sustainable Development and examiner (and main supervisor) for the licentiate was Prof. Göran Broman, assisted by supervisors Dr. Henrik Ny @ BTH (SustainTrans), Prof. David Simon @ Mistra Urban Futures and Prof. Henrikke Baumann @ Chalmers University of Technology. Prof. emeritus Ulf Ranhagen @ KTH was the reviewer. After the presentation, defense, and the ‘pass’ announcement by the examiner (Göran Broman), the TISU department hosted a celebration event for the audience. 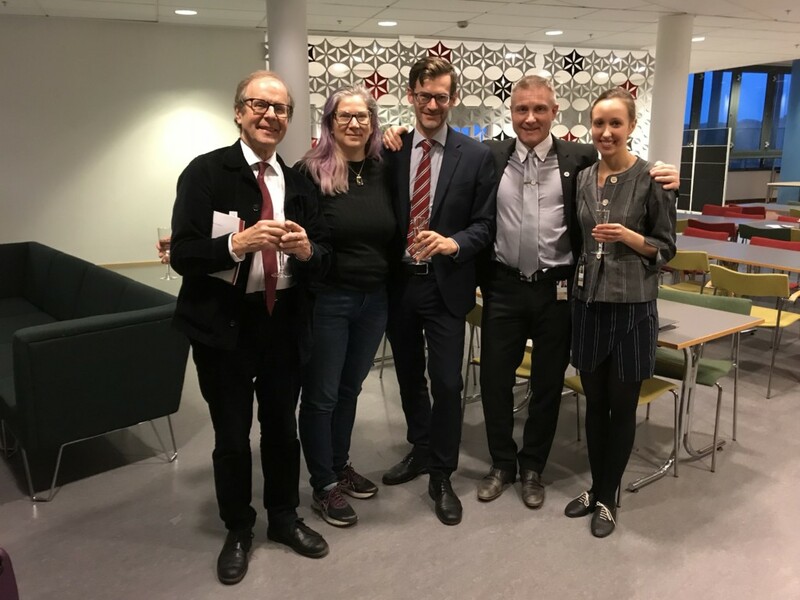 Varvara celebrating her licentiate with (from the left) Ulf Ranhagen, Henrikke (Kikki) Baumann, Henrik Ny, and Göran Broman. Photo by Sven Borén.